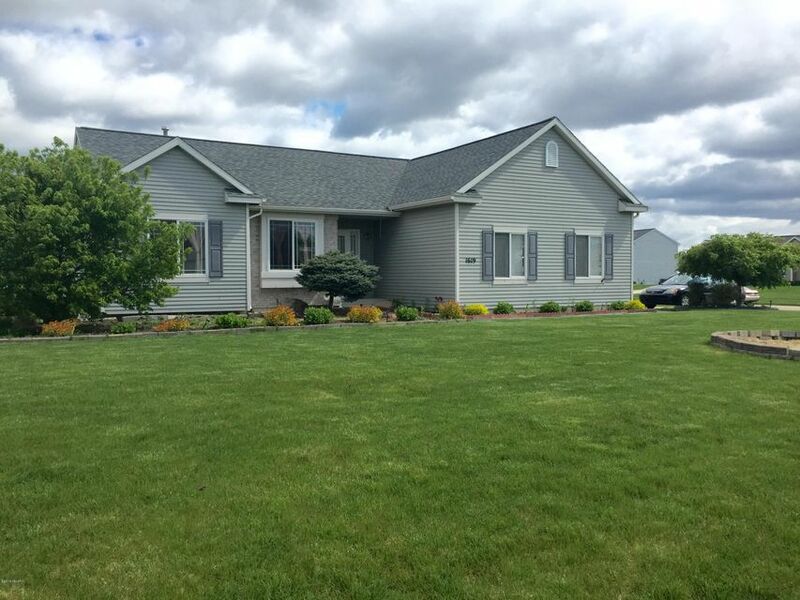 Spacious Ranch 4 Bedroom And 3 Full Bath. This Home Features Spacious Living Area With Fireplace, Large Kitchen With Snack Bar, Vaulted Ceilings, Deck off Dining Area, & Master Bedroom And Bath With Walk-In Closet. This Home Features Many Extras Including Central Air, Underground Sprinkling, & Heated Garage! Neighborhood is very quite and Close to Shopping/Dining, Movie Theatres, and Expressways. Schedule Your Showing Today!